David Beckham and Victoria Beckham might be busy parents of four with their own business empires, but it looks like they still have time for each other. And while taking a break from work, the A-List pair enjoyed a very special date night as they headed to a London restaurant for a spot of fine dining. 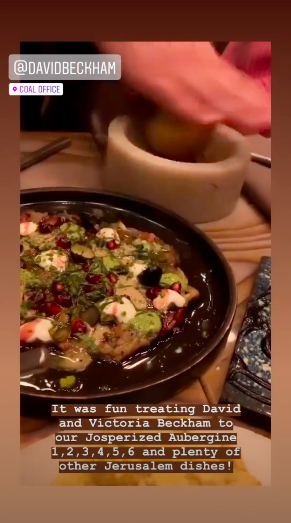 Sharing a glimpse into his evening, football star David posted multiple videos of the pair enjoying some Middle Eastern food from eatery Coal Office based in Kings Cross. 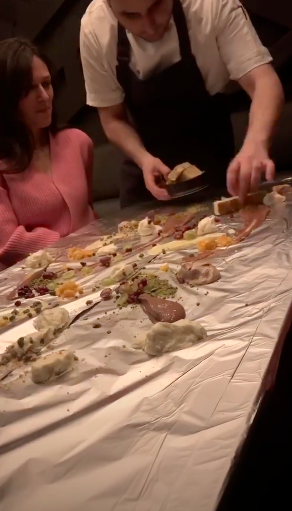 In one clip, 43-year-old David’s plate can be seen piled high with colourful food, meanwhile a second video captures the restaurant come alive with music. Far from your average candlelit dinner, the waiters can be seen dancing around the couple while delicious-looking desserts are laid out in front of them, covering the table in an unusual design. And while we think the display looks more like a piece of art than food, Becks clearly enjoyed it as he later took to Instagram with the simple word ‘yum’. Although 44-year-old Victoria doesn’t feature in her hubby’s social media posts – with the videos only showing a glimpse of one of their female pals – the restaurant has since thanked the A-List pair for tasting their menu. 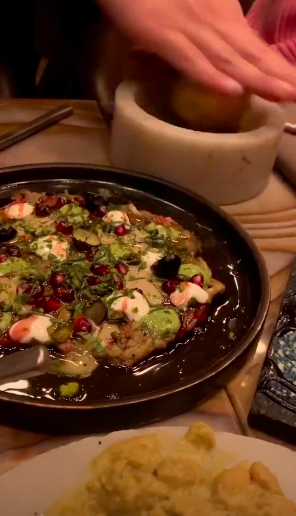 “It was fun treating David and Victoria Beckham to our Josperized Aubergine and plenty of other Jerusalem dishes!,” they wrote alongside a video. Meanwhile, David’s posts come after Victoria praised her husband when she was asked about celebrating their 20th wedding anniversary this year. During an appearance on Good Morning America, the fashion designer – who shares Brooklyn, 19, Romeo, 16, Cruz, 13, and Harper, seven, with Becks – gushed, “I’m really lucky.